The Peruvian North Coast is the region that basically comprehends the cities of Trujillo and Chiclayo. 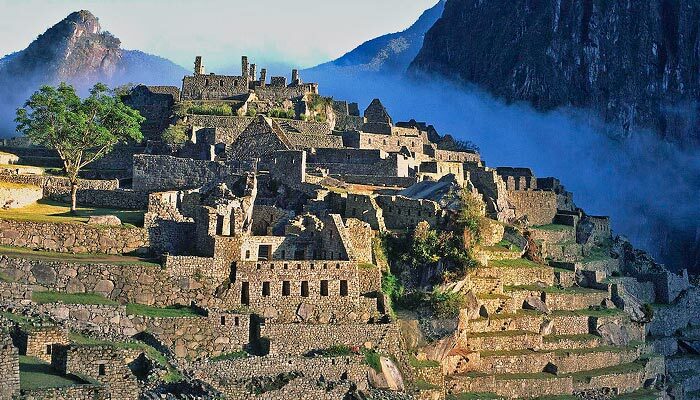 These two large to medium sized cities are up and coming destinations in Peru and therefore are slowing expanding their hotel offer. 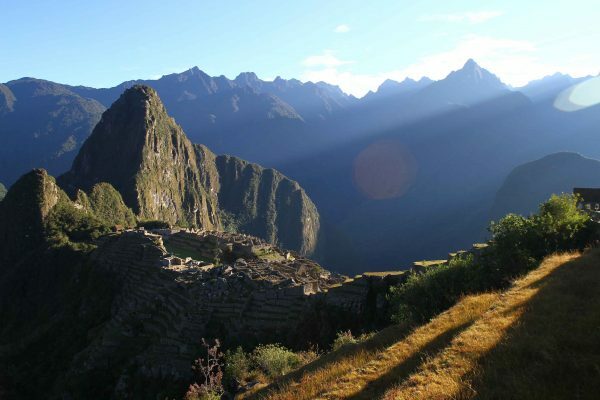 Some of the larger Peruvian chains are present in the cities and offer the best quality higher end hotels. Apart from these there are also some nice local establishments that have a more colonial feel. When looking for hotels for the Peruvian North Coast we look for good locations or at least good connectivity as well as nice common areas, preferably with gardens and swimming pool to enjoy the nice & mild climate of the Peruvian north coast. Located on the outskirts of Trujillo, next to the famous Huaca de la Luna, this hotel provides large green gardens full of birds and flowers. The hotel provides all suites housed in individual bungalows around the beautiful main building and outdoor pool. 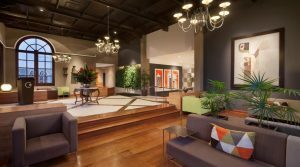 The Libertador Hotel Trujillo is located on the main square and is the best known superior hotel in the city. 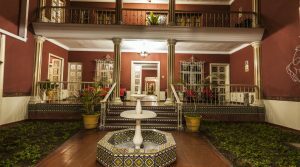 This classic hotel is housed in one of the colonial buildings on the Plaza de Armas and provides colonial style rooms with all comfort. The hotel also has an outdoor pool, gym and sauna available for its guests. 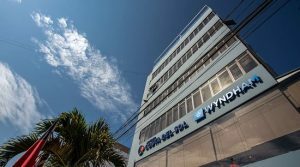 This modern 4* hotel is located close to the city center of Chiclayo and provides air conditioned rooms equipped with all necessary comfort. During your stay you can head to the Spa or the gym and enjoy the nice weather all year round at the outdoor pool. 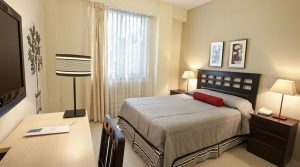 This modern 4* hotel is located in a residential area of Trujillo a couple of minutes from the main square. Large, air conditioned, cozy rooms with superior amenities as well as an outdoor pool, Spa and gym make this hotel one of the better ones in town. The modern Costa del Sol Chiclayo Hotel is located on the main street, two blocks from the main square. 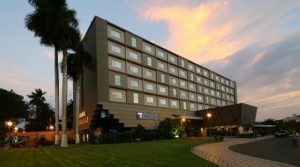 The hotel has modern, spacious rooms with air conditioning and provides a rooftop pool and small Spa for its guests. 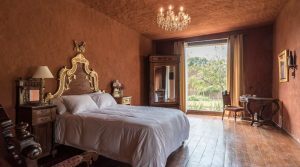 The new Casa Andina Classic Hotel Trujillo opened its doors in 2018 and provides a great standard hotel in the heart of the city. 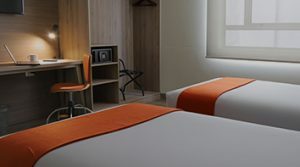 Modern well equipped rooms will provide you with a great base to explore “the City of the eternal spring”. 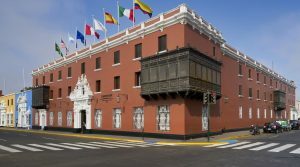 The modern OBH Hotel in Chiclayo is located in the city center only a couple of blocks from the main square. Bright, clean air conditioned rooms allow guests to unwind during their stay here. A small gym is available and the hotel also has a bar for its guests. 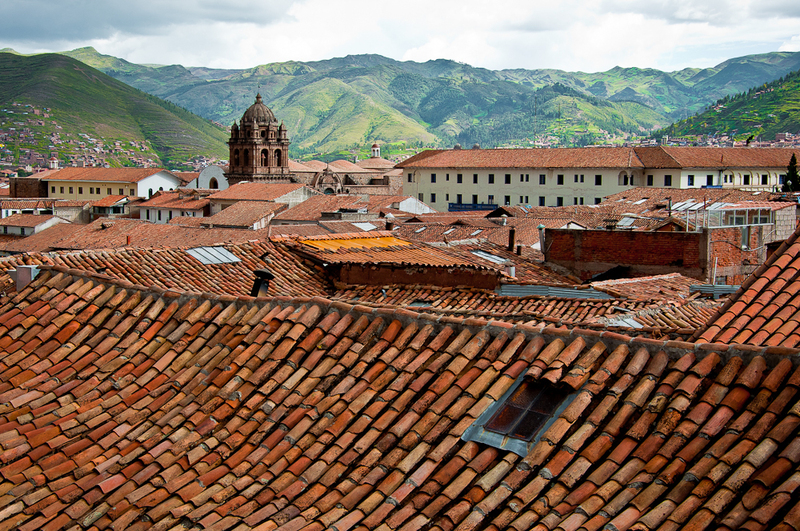 Hotel Colonial is located in the heart of Trujillo on walking distance to all sights in the city center. Spacious, clean rooms surround the central patio and provide a great place to rest. The rooftop terrace is nice to relax and enjoy the views with or without a drink from the bar downstairs. Copyright 2023 © Sato Peru. All rights reserved.